2 Transfer the pasta to the baking dish: Use 1 tablespoon of olive oil to coat the bottom and sides of a 9-by-13-inch baking dish. Using tongs, transfer the pasta to the baking dish. If you like, twirl the pasta into several small "nests" within the dish. 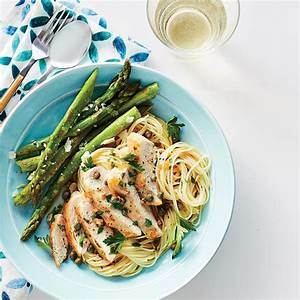 Drizzle 1 tablespoon of olive oil evenly over top of the pasta and set the dish aside.